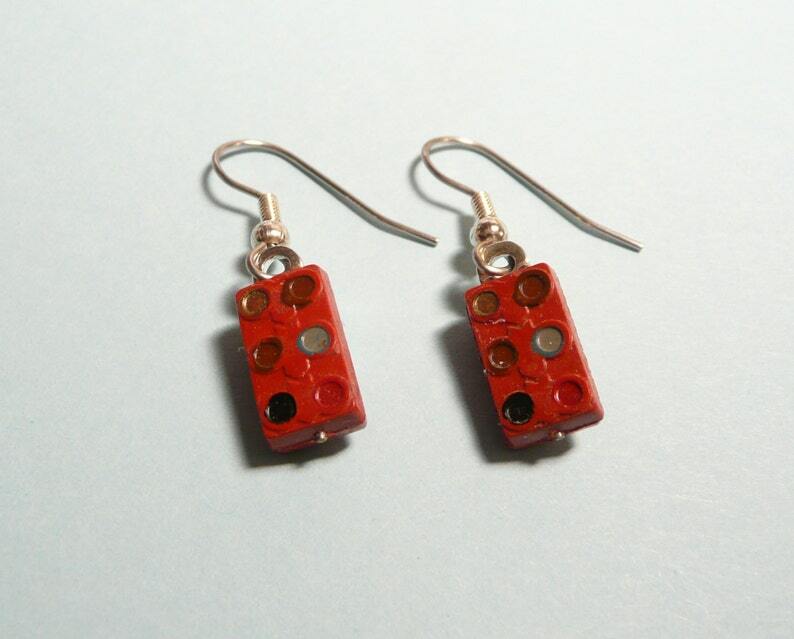 These Geek Earrings are made of vintage domino capacitors by El-Menco, made in USA. Recycled as fun jewelry and saved from the land fill! These are NOS - new old stock, unused, but they most likely would have been thrown away so we've recycled them as a unique wardrobe accessory. A cute gift for the "techie." COLORS: Dark red with multi colored "dots." SIZE: The capacitors measure about 1/2 inch tall (1.27 cm), and hang about 1 1/4 inch (3.2 cm) from the top of the surgical steel fishhook style ear wires. :: See last photo of similar size earrings to illustrate how they hang. People ask at craft shows if I've painted the "dots" but they were manufactured that way to indicate capacitance.